Luxurious 4 bed, 4.5 bath w 2 bonus room estate in the gated community of Clairemont. Corner, half acre plus lot on cul-de-sac will leave you speechless. Keller ISD w open enrollment to GCISD! Grand entry unlocks exquisite amenities. Stunning salt water, heated pool with spa plus beach entry, fireplace and grill are just the beginning of this outdoor paradise perfect for entertaining all year around. Gourmet kitchen any chef is sure to fall in love with. Executive study with built in stately desk. First floor master suite spotlights relaxing sauna. No stone left unturned! Be sure to find more in the documents located on Transaction Desk. Video and 3D tour available as well. Welcome to your new retreat! 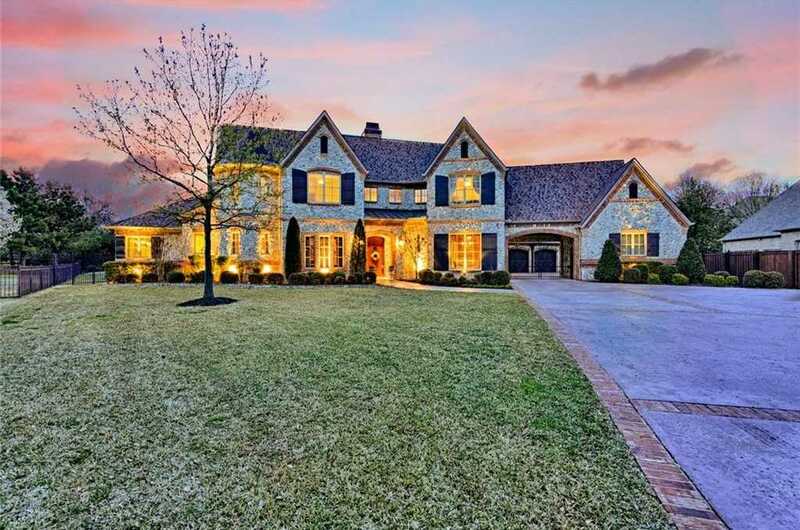 Please, send me more information on this property: MLS# 14053838 – $987,000 – 6725 Zermatt Court, Colleyville, TX 76034.